The popular Master slim Notebooks are finally also available in the LEUCHTTURM1917 Metallic edition. With its oversized A4+ format (225 × 315 mm) it is large enough to hold writing paper or photocopies between the pages or in the cover pocket without needing to be folded. 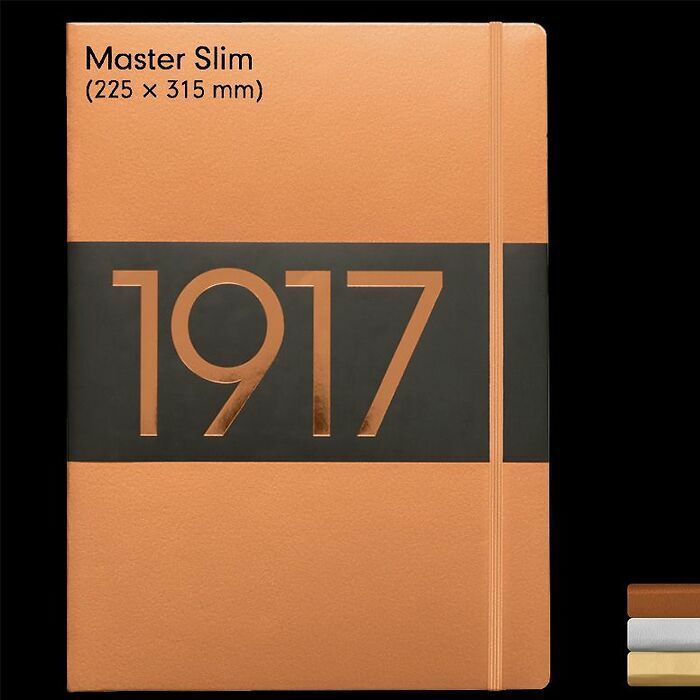 The Master-slim-Notebooks contain 123 numbered pages in ruled, dotted, and plain rulings. The banderole and the label set have metallic embossments. These notebooks make a statement.